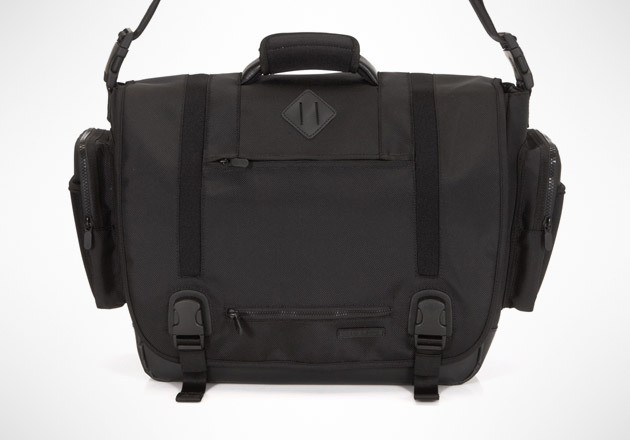 The Lexdray Manhattan Messenger ($335) is more than just a stylish messenger. Thanks to its ultra durable construction and premium technical material including 1680 denier PU-coated ballistic nylon outer, neoprene stretch panels, and weather-resistant tarpaulin bottom, the Manhattan is also tough and durable. It has plenty of room for a laptop, documents and books to take to the office, or enough clothes for an overnight getaway.